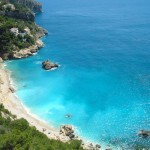 Javea (also known as Xabia) is a gem of a town situated on the Northern Costa Blanca. 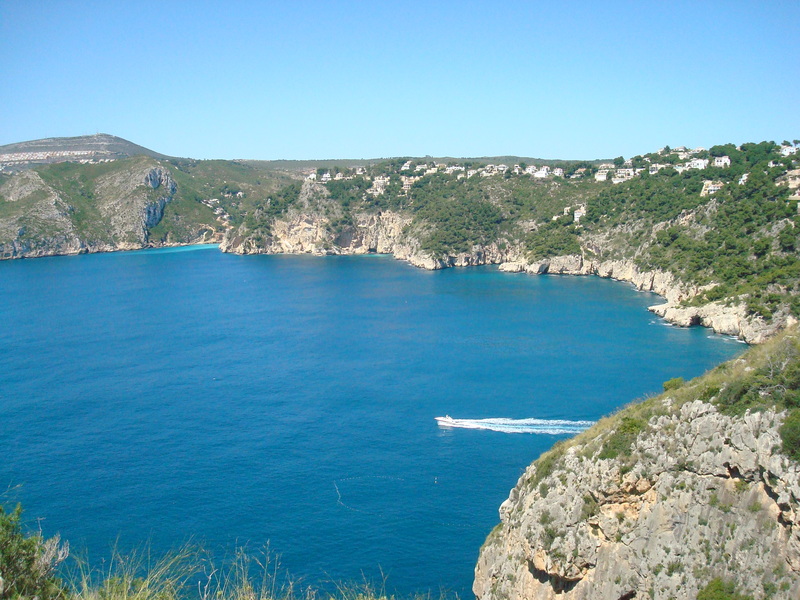 It’s rugged coastline is indented with secluded coves and sandy beaches. 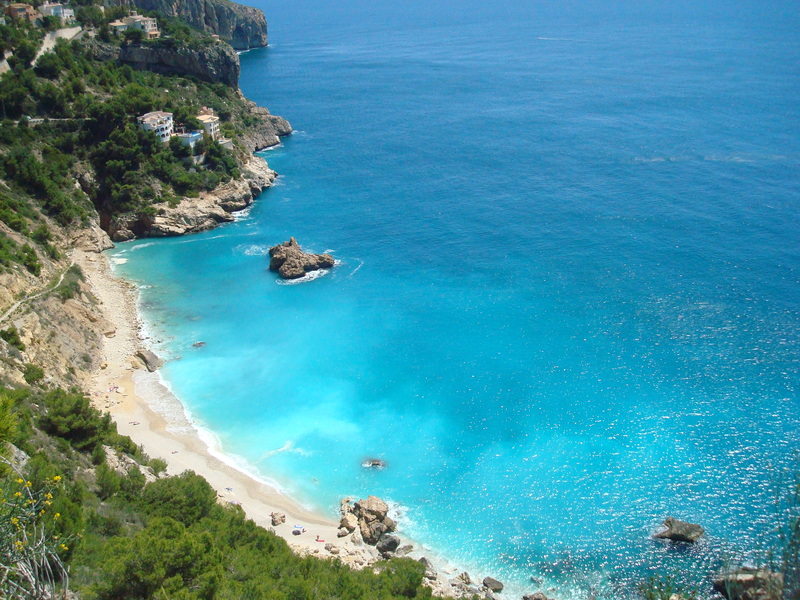 These hidden caves and bays were once used by pirates and smugglers in the Middle Ages but are now used by sunbathers, snorklers and scuba divers. 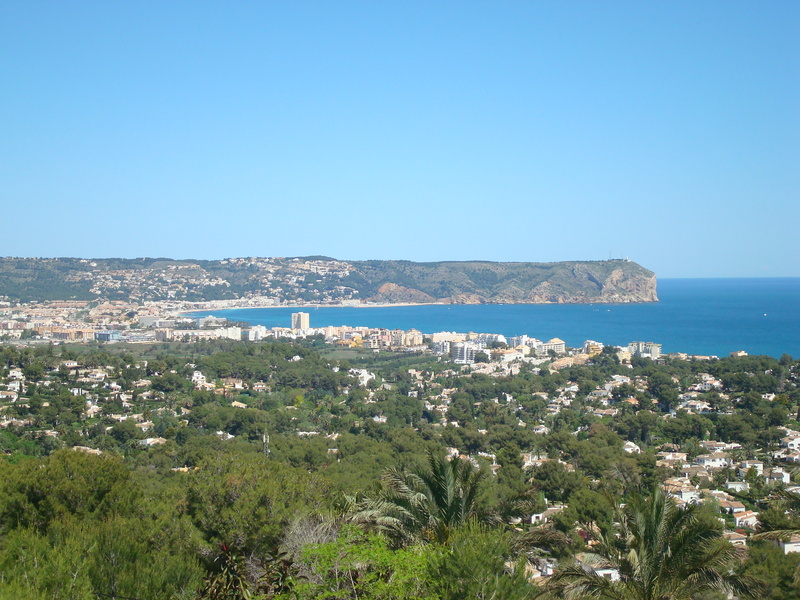 Javea and the surrounding northern Costa Blanca is a real surprise to those who have not had the pleasure of visiting this area. It is very green and mountainous!!! Sure there are the wonderful sandy beaches you would expect to find but there are also green valleys inland full of vineyards and majestic mountains. 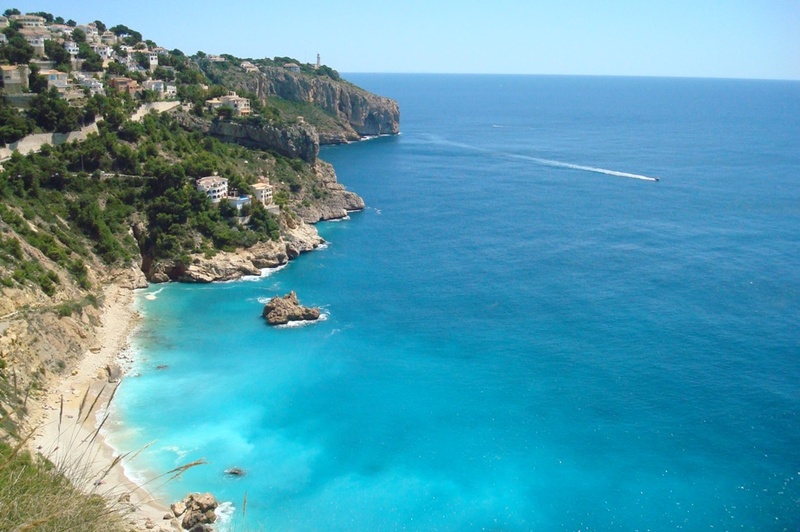 Bathed by the Mediterranean sea and sheltered from the continental winds by Mount Montgo, it is no wonder that the World Health Organization selected Javea as having a near-perfect climate. 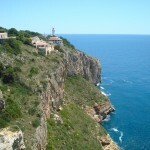 There is much to see and do in the local area, especially for families. 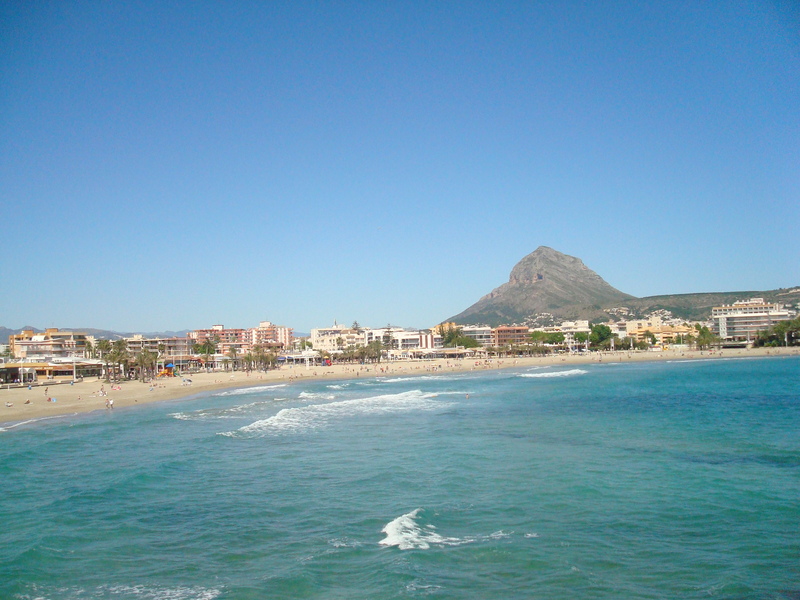 Benidorm is a completely different resort. Famous for it’s lively entertainment and nightlife it makes a for a good night out. 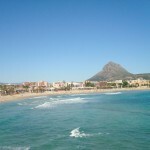 For families there are 5 theme parks in Benidorm which is only 45 minutes drive away. There is Aqualandia waterpark. 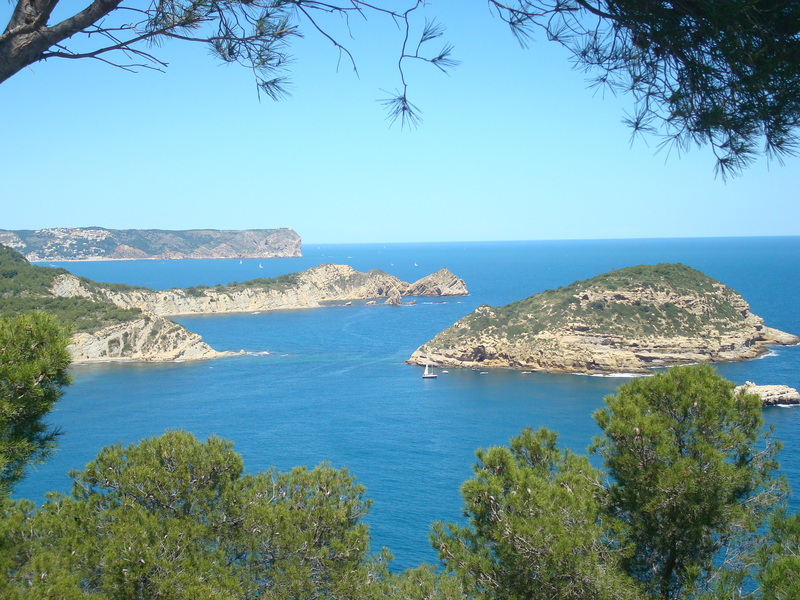 Mundomar where one can see dolphins, seals and other marine animals. Terra Mitica with rides is Spain’s answer to Disneyworld with rides and rollercoasters for all ages. Terra Natura is a zoo. Aqua Natura is a waterpark. 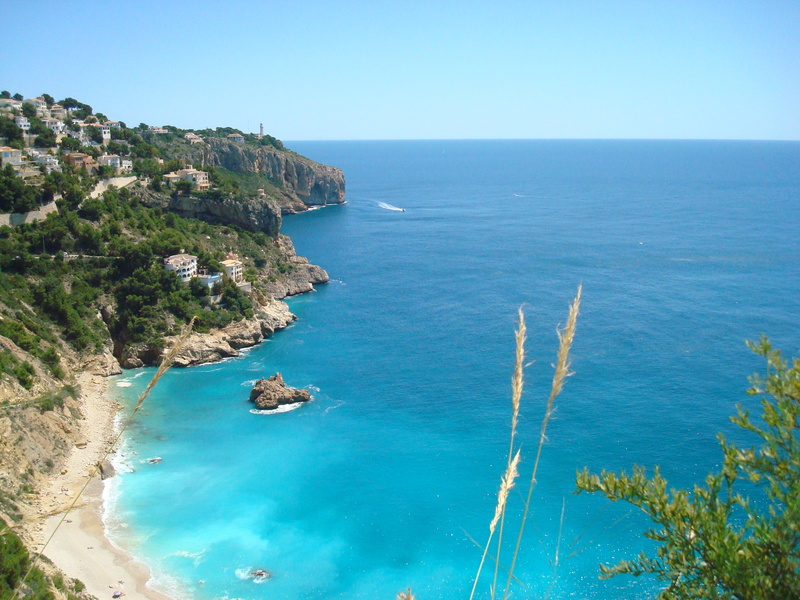 There are plaenty of other lovely beach resorts close to Javea such as Denia, where you can get a ferry across to Ibiza, as well as Moraira and Calpe. 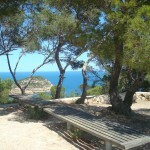 The area is prized for its sporting facilities. 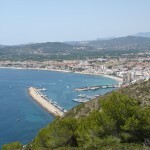 There are wonderful scuba diving opportunities between the Cape of La Nao and Granadella beach. 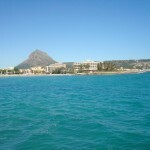 Javea has one of the most attractive seaports in the Mediterranean. 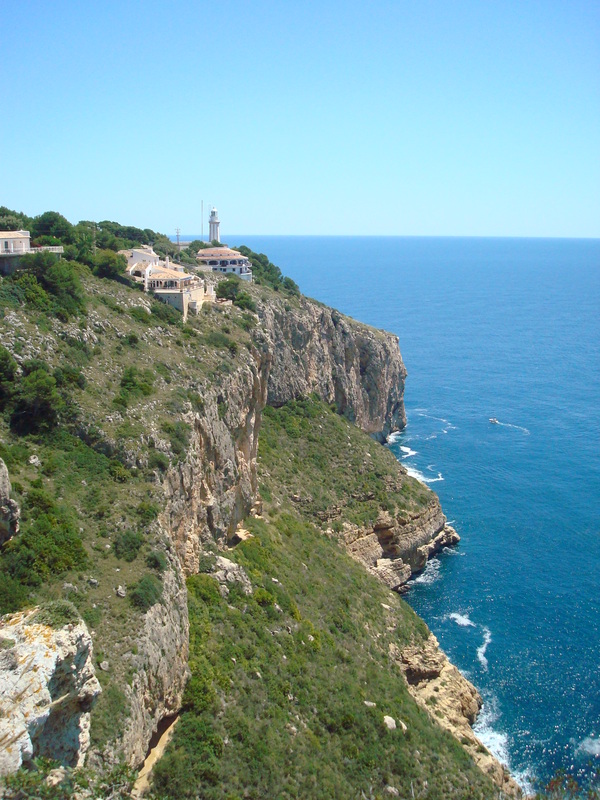 There are many sports clubs in the area, tennis, go-karting, bowls, horse riding, mountain climbing and cycling. 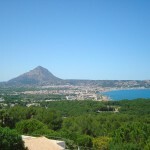 Javea has three separate and totally unique areas giving you great variety depending on what mood you happen to wake up in. 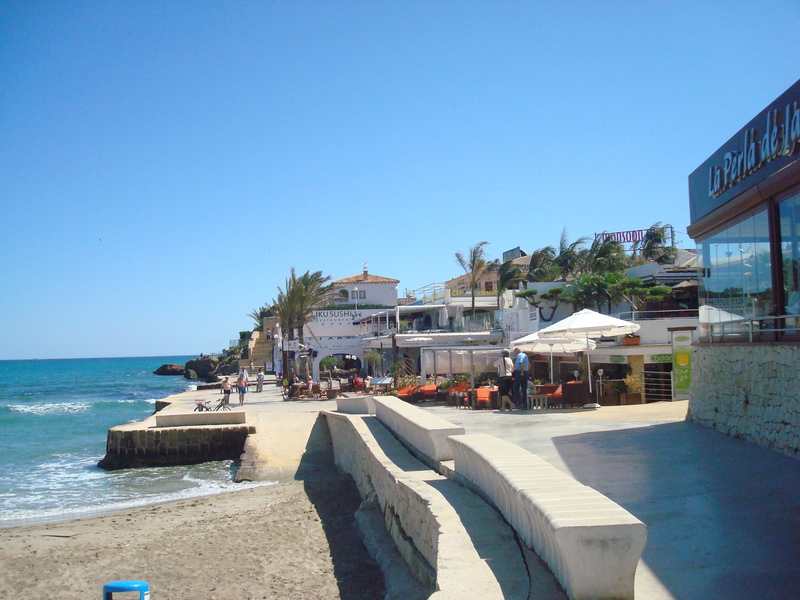 Behind the beach is a pedestrianised promenade lined with bars and restaurants offering everything from live bands to traditional restaurants. There is a small fair for the children in the summer months with rides, trampoline and go-karts. The promenade is a great place for a stroll in the evening. 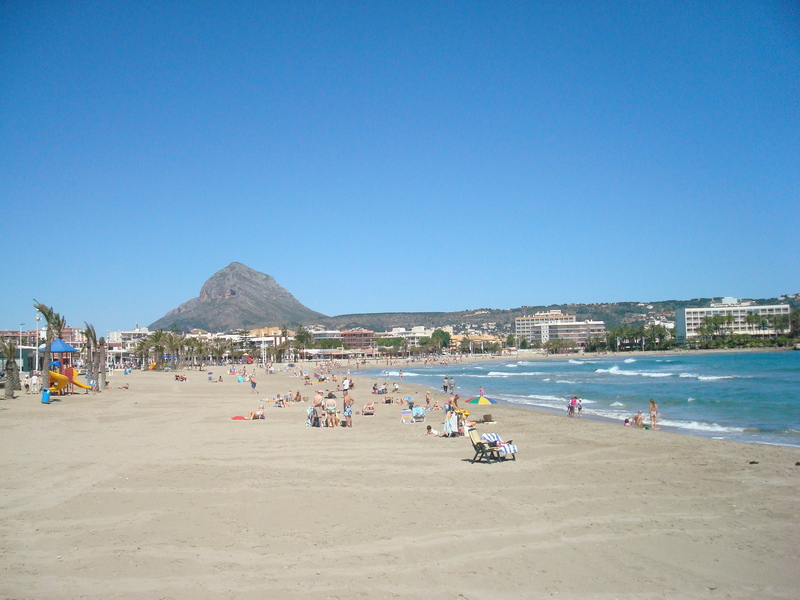 The bustling Arenal area is surrounded by shops, bars and restaurants such as the renowned Los Remos or La Boheme. It’s a great place to walk along the promenade in the evening. 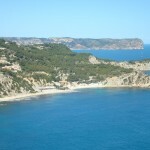 It’s very touristy obviously and is the least Spanish part of Javea but nevertheless it is a crucial part. During the evening in the summer there are various stalls here selling a variety of handmade crafts. Many of the bars have live music. The most popular bar is known as Champagne which has been renamed Jalousie. Set off the beach is the popular Irish Bar An Shebeen. 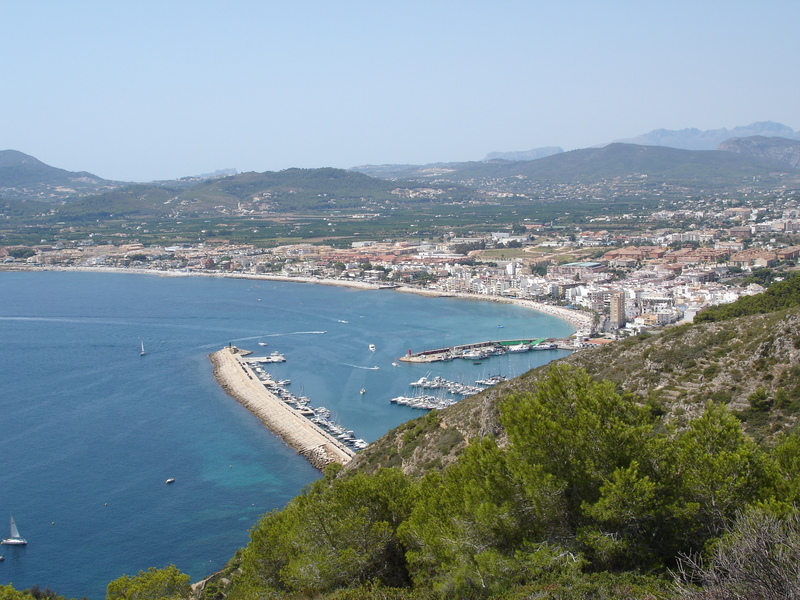 This is the place to enjoy the Javea nightlife which although relatively quiet and limited does have it’s lively spots such as the nightclub Achill. 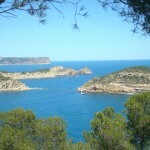 The Arenal is very good for families. The beach is large and very wide. 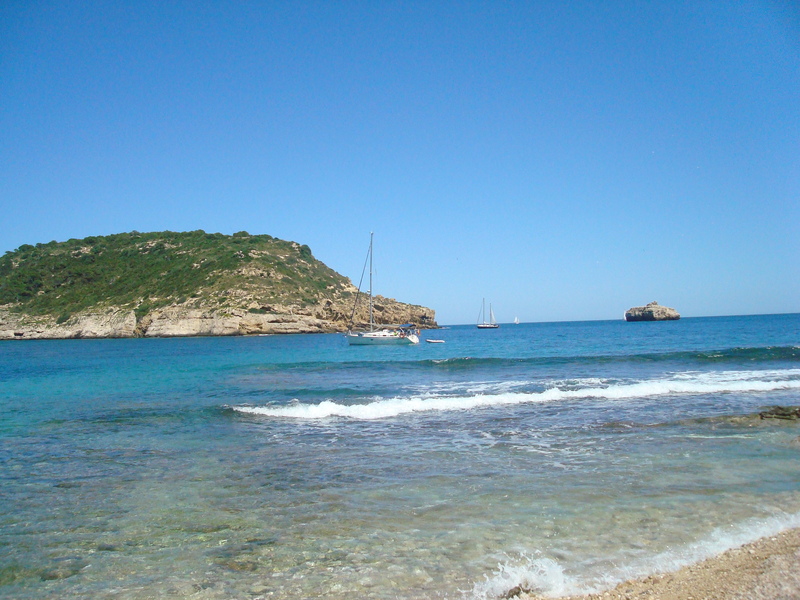 The water is very shallow and calm as it is in a sheltered bay. You can easily sit in a cafe or bar and be able to see your children. Generally Spain is very family-orientated and you can feel much more relaxed about your kids safety than you would anywhere else. 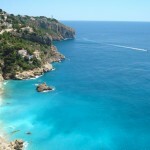 This is the place where you can eat tapas, paella but also fish and chips and English breakfast. 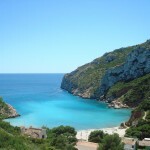 The great thing about Javea is the choice of the three very different parts. It’s almost like visiting a theme park and entering different worlds! Buildings here are not high-rise due to strict local planning regulations. 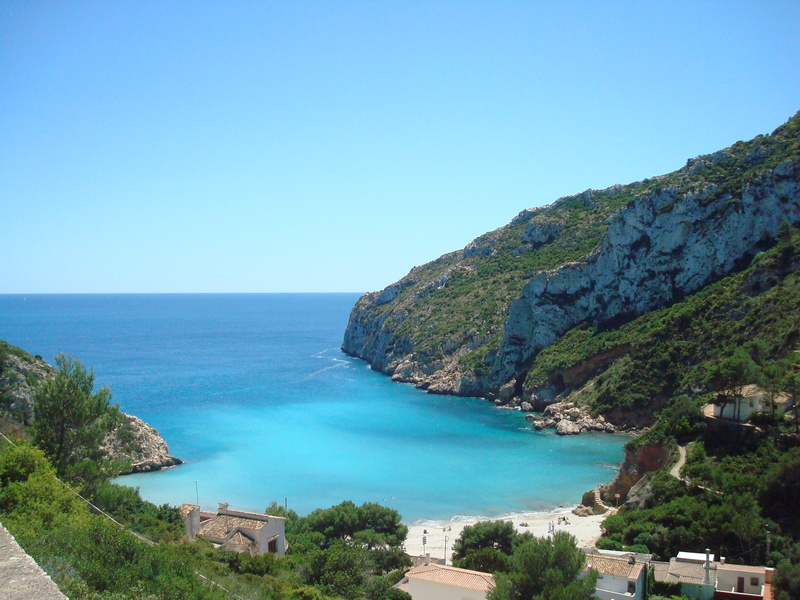 Many people’s favourite area of Javea this has a fascinating charm factor hard to define. Traditional whitewashed houses surround the bay. Watch the fishermen bring in their fresh catches or watch the sailing boats set off from the marina. Eat at the fantastic seafood restaurants. 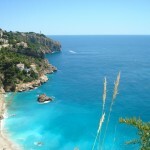 There are also many good boutiques, shops, bars and cafes – it’s bustling with activity. 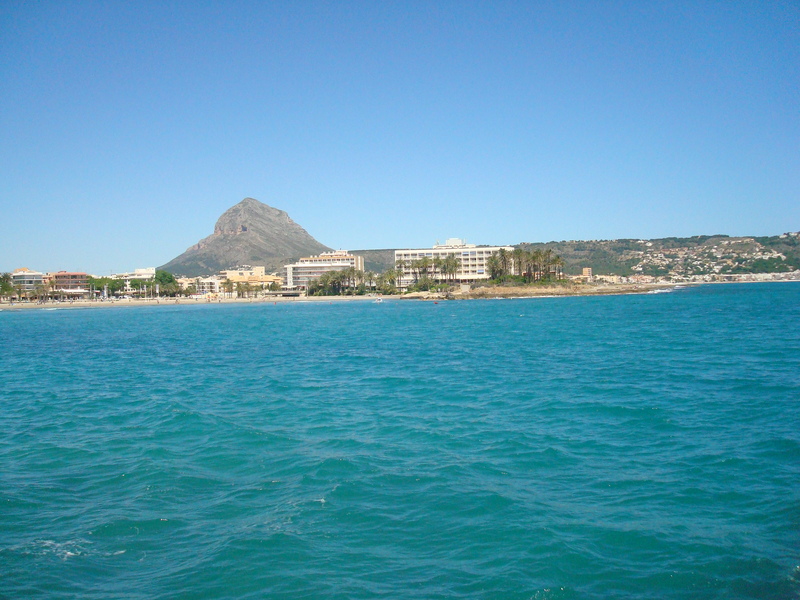 The Port area of Javea has a real Spanish feel, this is an area where locals live and work in harmony with the tourist elements. The landmark of the Port area is the church of Our Lady of Loreto with a roof which imitates the hull of a ship. Between the Port area and the main Arenal beach are rocks perfect for exploring and in the summer this stretch is lined with beach bars. 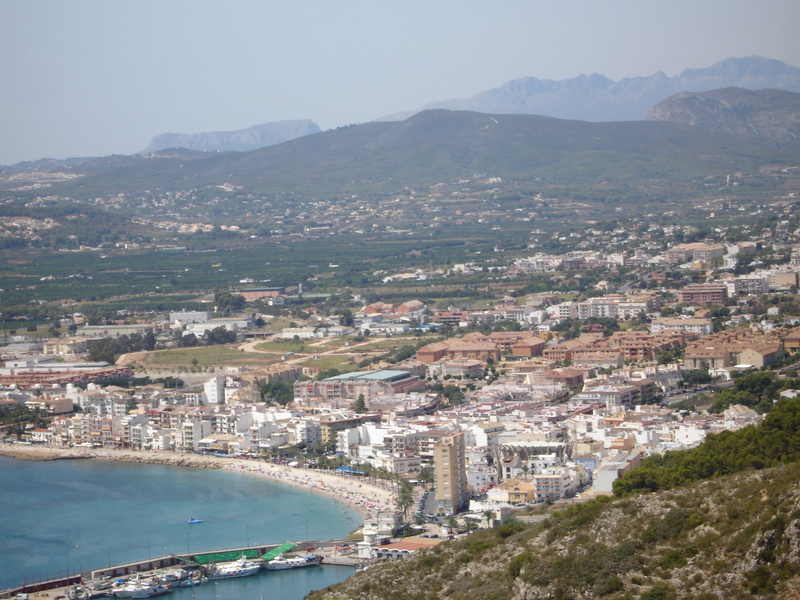 There is the traditional Old Town of Javea where you can wander down ancient narrow streets and visit the local market on a Thursday. Built with original Tosca sandstone it’s rich in medieval history. The Gothic fortified church of San Bartolome dominates the centre of Javea’s town. This building dates back to the 15th century. At the side of the church is a beautiful building which houses the indoor market where you can buy local fresh produce daily. 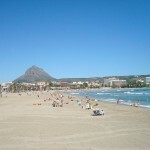 La Granadella beach is a contrast from the busy tourist beach of El Arenal and is just 5 minutes away from the villa if that. 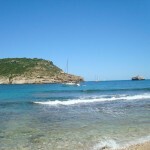 La Granadella beach is tucked away and not many people know about it so it is never overcrowded. 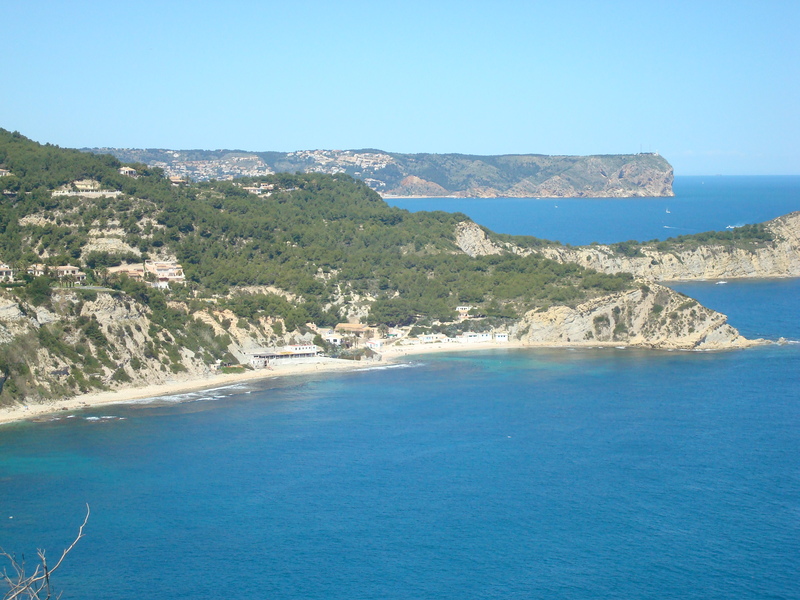 Granadella is a pebble beach in a secluded cove. 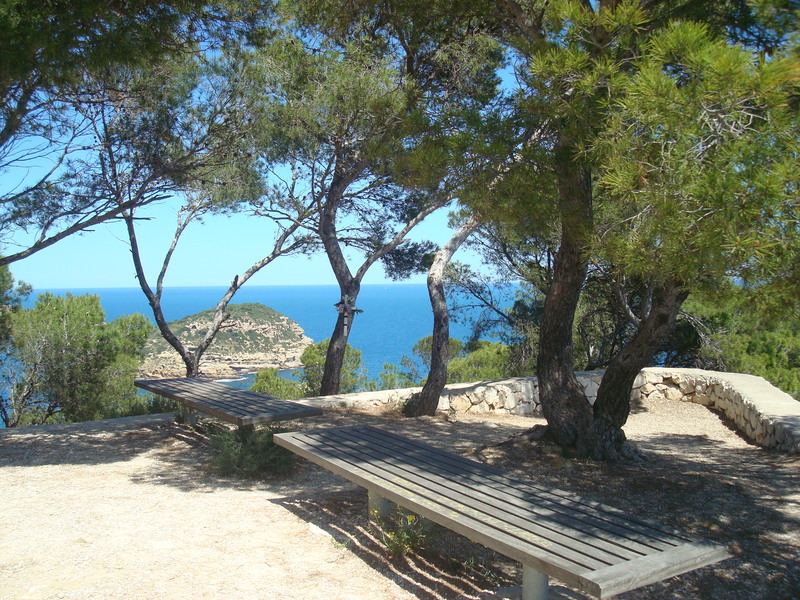 You reach it by driving through a lovely pine forest. 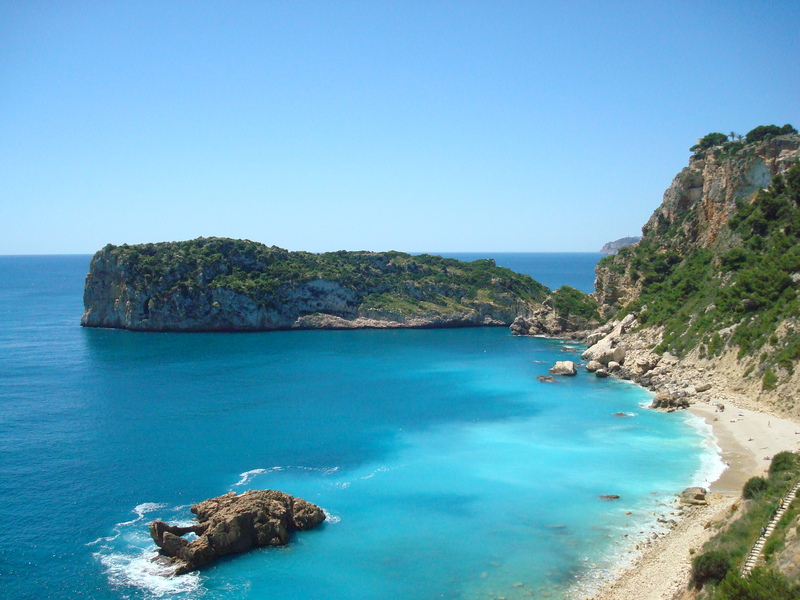 The water is often a beautiful turquoise colour. The water is clear and great for snorkeling or diving. There are three restaurants. 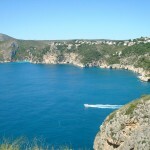 Explore the rocks and caves to the right hand side of the beach or take the trail up the mountainside. 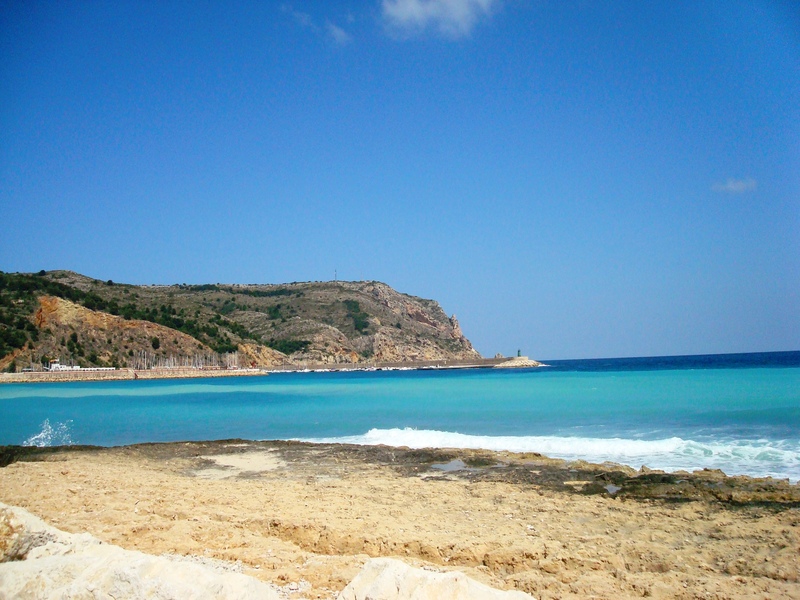 This bay was the location for filming for the film The Cold Light of Day starring Bruce Willis and Sigourney Weaver. 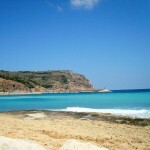 Also not more than 5 minutes away are the pebbled beaches of Ambolo and Porticholl which feature on many of our photos. 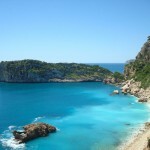 The waters are clear and clean and ideal for snorkelling with quaint little bars and restaurants. 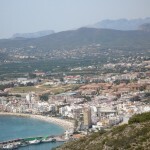 The Costa Blanca has many renowned golf courses of which 5 are less than half an hour’s drive away. 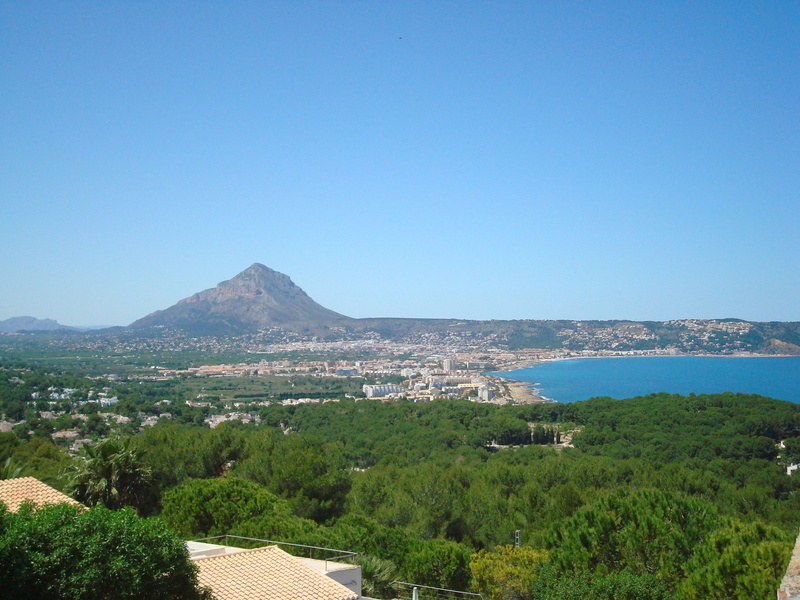 Javea itself has the internationally renowned Jose Olazabal designed 18-hole course at La Sella and a local 9-hole course with superb views of the ‘landmark’ montgo mountain. Oliva Nova – at Oliva you will find the Oliva Nova 18-hole Seve Ballesteros designed course. Club de Golf ‘Ifach’ on the San Jaime urbanisation on the coast road between Moraira and Calpe is this 9 hole, par 60, 3, 540m course. 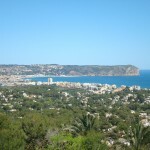 Club de Golf ‘Javea’ situated between Javea and Benitachell is the 9 hole course, par 72, 3, 035m. Club de Golf ‘La Sella’ situated inland near the area of Jesus Pobre on the back-road between Javea and Denia is 18 hole, par 72, 6, 029m.